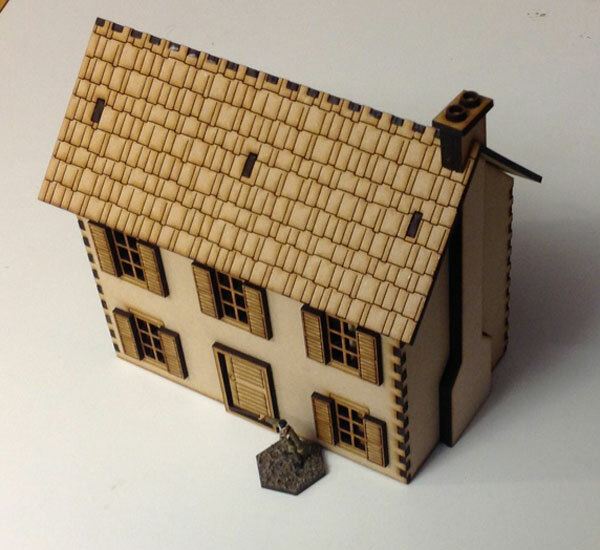 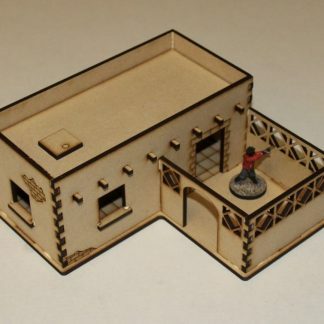 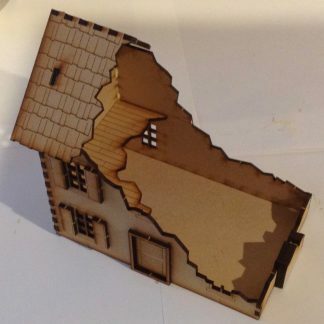 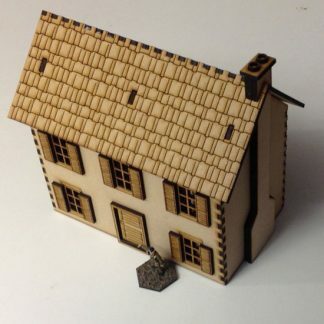 This item is designed for use in a wide range of games ranging from Napoleonic era through WWII battles. 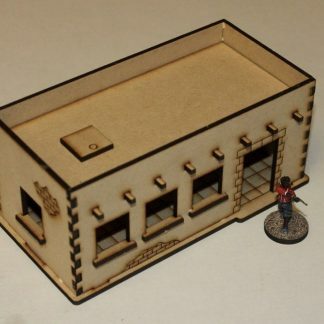 This item is designed for use in a wide range of games ranging from Napoleonic era through WWII battles. 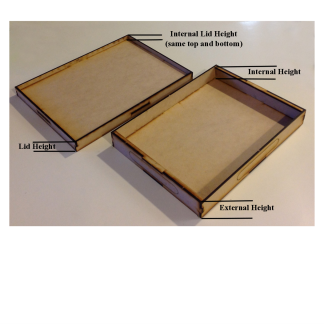 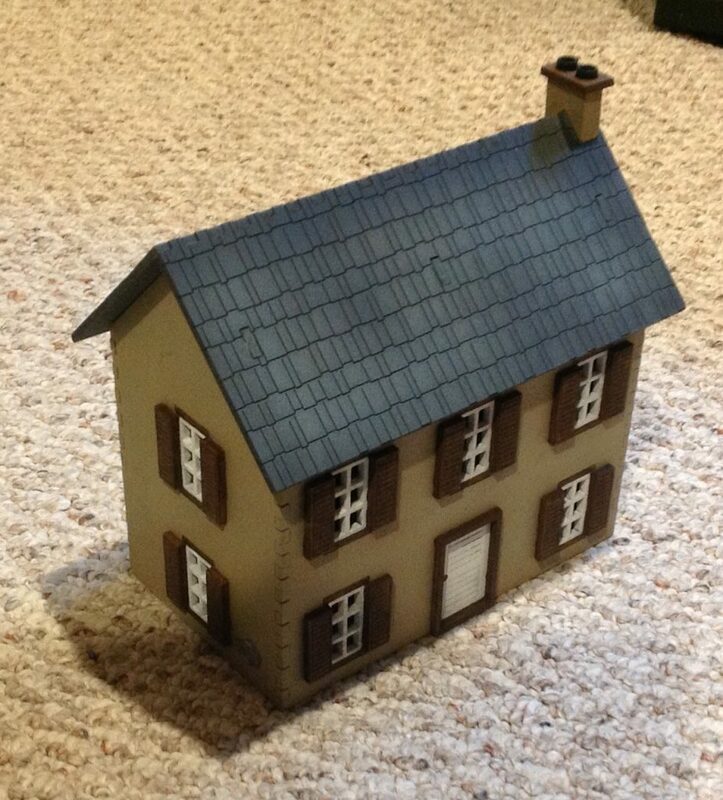 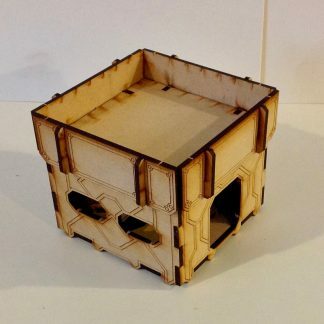 It has an internal floor and a removable roof. Overall size is roughly 160mm x 100mm x 180mm tall (to top of chimney).